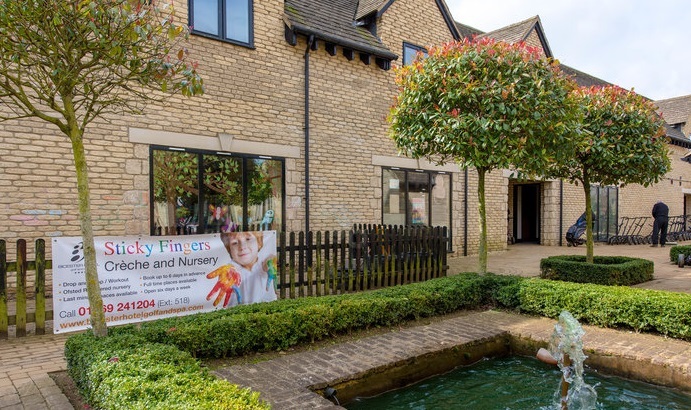 Sticky Fingers is our Ofsted registered nursery and crèche, established in 2004, is located within the grounds of Bicester Hotel Golf and Spa, just half a mile from the village of Chesterton. We offer a range of flexible options from full day nursery care to individual hourly crèche sessions which are ideal for members attending our health club and spa.Our qualified and experienced team offer a welcoming and safe environment where planned and purposeful play enables the children to develop and learn whilst having fun. We pride ourselves on fostering strong bonds with children and parents, enabling the children to achieve their full potential in a familiar and secure environment. We are open from 8am till 6pm weekdays and 9am till 12pm on Saturdays. We are closed on Sundays and bank holidays.